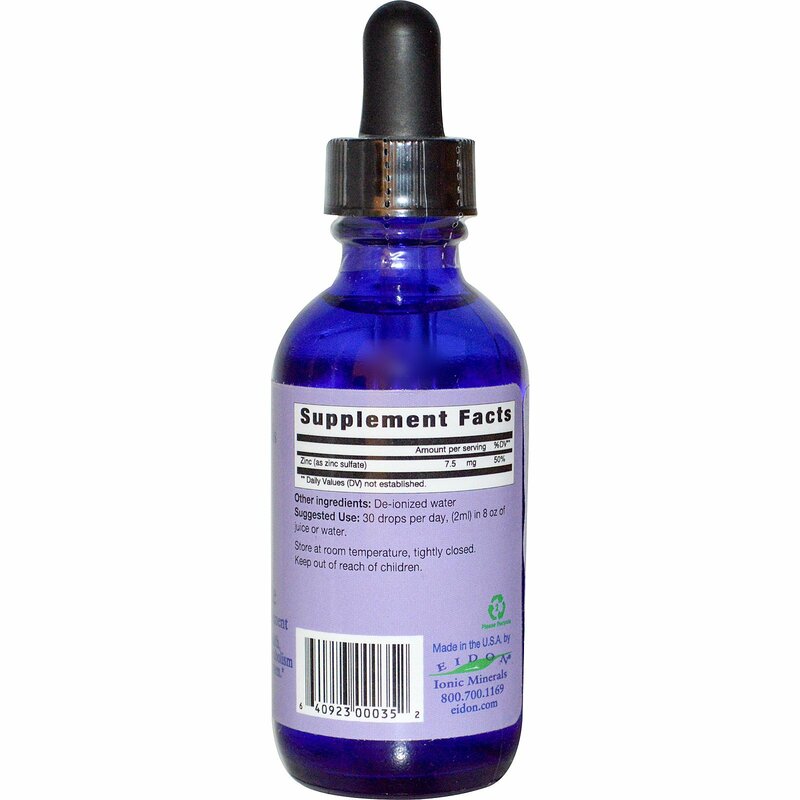 Zinc supports prostate health, adrenal function, cellular metabolism and a healthy immune system. Eidon Zinc: Zinc activates healthy immune function, gastrointestinal health, wound healing, and sense of taste and smell. 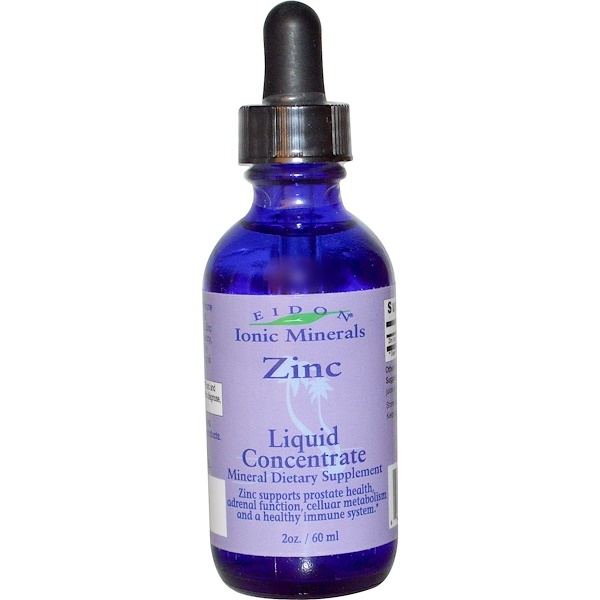 Zinc supports normal growth during pregnancy, childhood and adolescence. It is rapidly excreted during stress. Zinc deficiency is widespread. No sugars, starch, artificial colors or flavors. No added preservatives. No animal by-products. Gluten free.